Visiting as many as possible of the 1,073 UNESCO World Heritage Sites in the world. My count so far: 127! 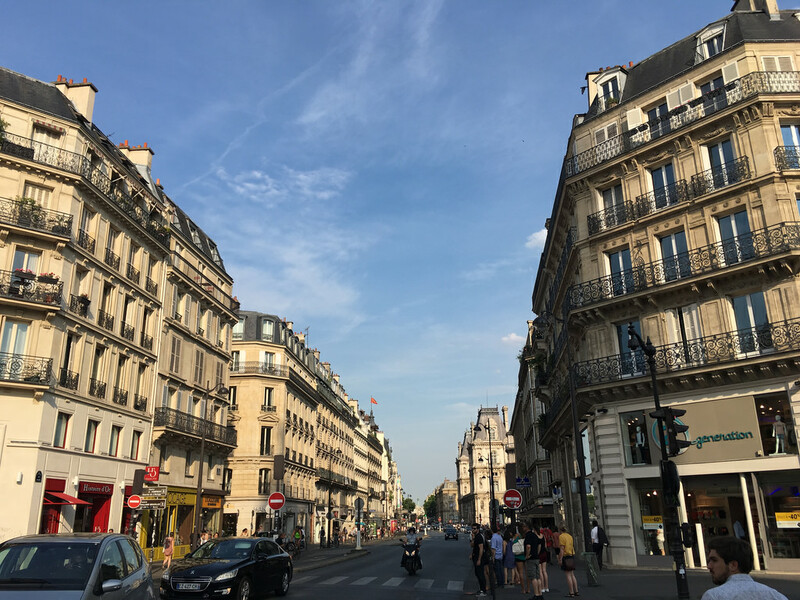 This was not my first time to Paris, but it was the first time I have visited in the Age of the iPhone, meaning I now have photographs of it that I won’t lose track of. I have been to the city’s historic centre on three occasions, so I feel comfortable counting it as visited despite the most recent trip being for less than two hours. 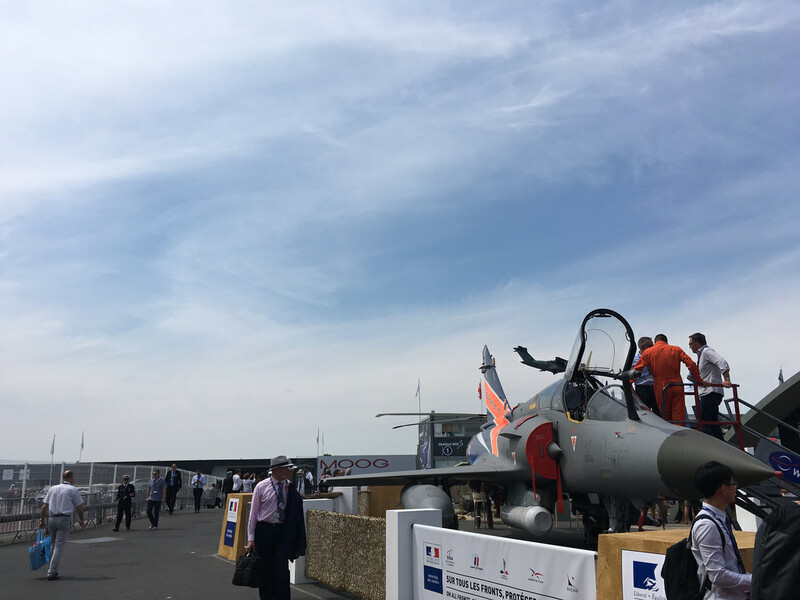 I went to Paris for primarily to attend the biannual air show in order to research an investment idea. There were some exciting displays such as an F-35 fighter doing aerobatics, but most of my day was spent in the conference halls talking to people about structural components. 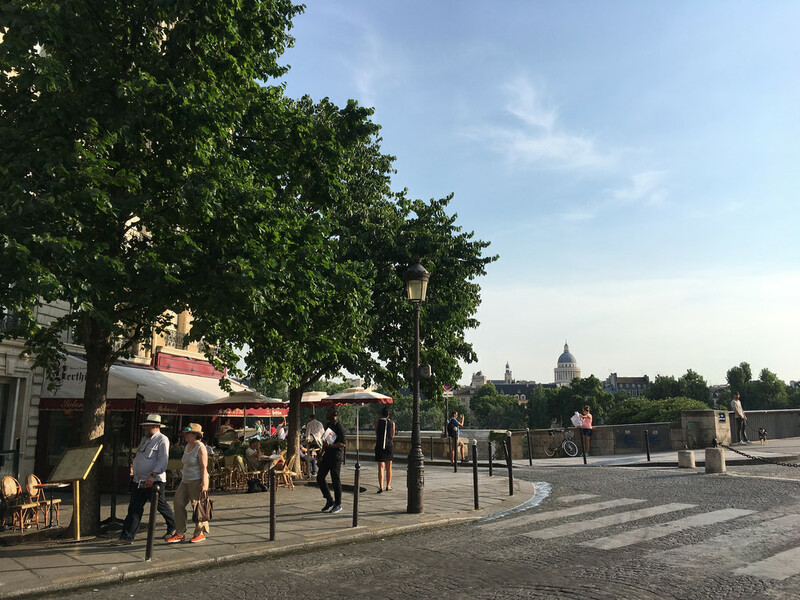 At Le Bourget airfield it was extremely crowded and extremely hot, so when I finally escaped the crowds after the show was over it was a breath of fresh air to have some down time by the banks of the Seine. This was my first time using mobile data abroad – since the hated EU have recently banned phone companies from charging their extortionate roaming fees – and it was extremely useful to be able to navigate around using Google Maps. 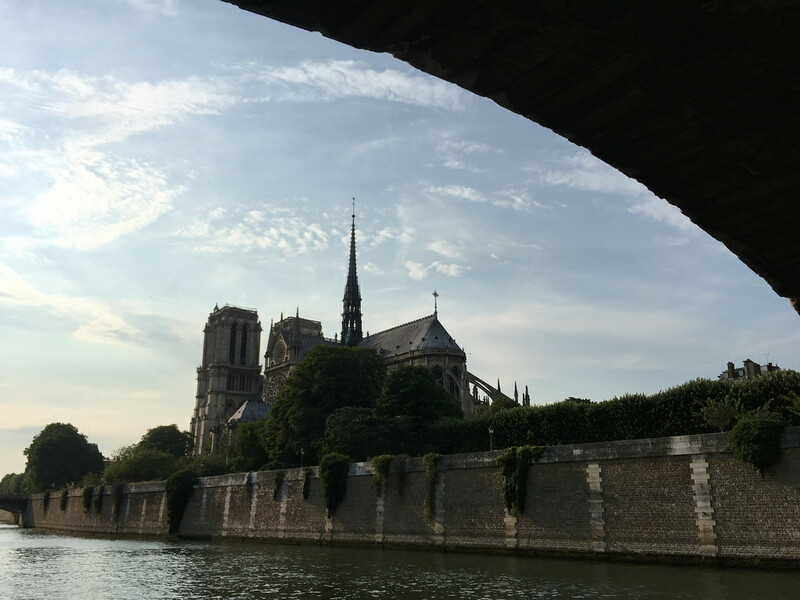 This World Heritage Site covers an area around the Seine as it runs through central Paris – stretching from the Eiffel Tower in the west to Notre Dame in the east. 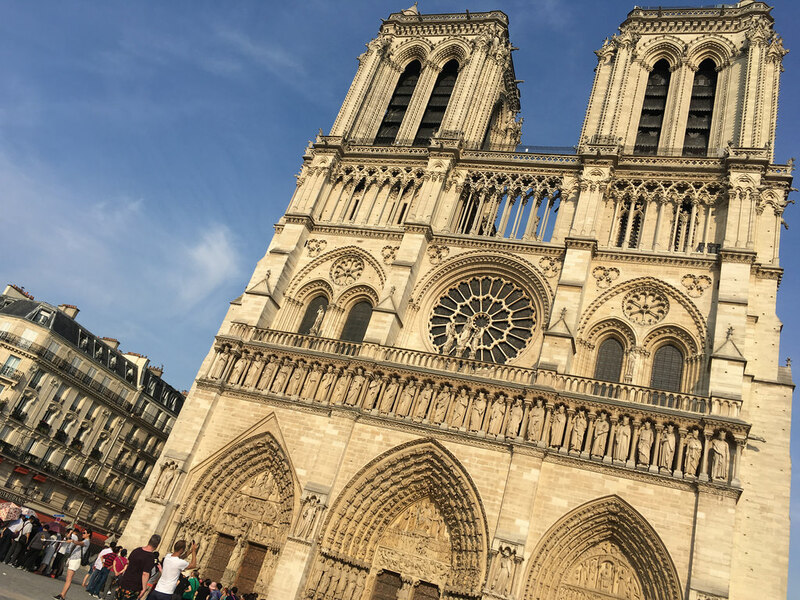 I opted for the eastern end, heading first to the facade of Paris’s famous cathedral, above. This Gothic masterpiece feels similar to the cathedral in Amiens, particularly because of the huge number of figures depicted in miniature statues above the front doorways. Two natural islands sit within the Seine – Île de la Cité, on which stands Notre Dame (above) and Île Saint-Louis, where the top photograph was taken. There has been a settlement in Paris since prehistoric times, but it was during the 17th to 20th centuries that it really developed into what it is today. The wide avenues and carefully laid-out street patterns were the result of deliberate planning by Baron Haussmann in the 19th century. This was to be the model for a number of New World cities, particularly in Latin America. I noticed that Parisian feeling for sure in Buenos Aires, which is the only major Latin American city I have visited. Since the great ‘renovation of Paris’ the city government has enforced regulation to protect dozens of specified views throughout the city. Like London’s protection of the view of St Paul’s from various angles, this means no new buildings may be constructed that spoil parts of the urban vista. The developers of the skyscraper district La Défense, however, got around the protection of the view of the Arch de Triomphe from the Place de la Concorde by building outside city limits, but going taller than any Victorian-era planner had ever envisaged. These photos of/from the Eiffel Tower are Natalie’s from her visit this January. I went up the tower years ago and enjoyed the view. From up here you can really appreciate Haussmann’s layout of the streets and also the sheer size of the city. I have not yet been to either Paris’s main art galleries – the Louvre and the Orsay – or the WHS-inscribed Palace of Versailles – so a proper revisit is definitely on the cards. This entry was posted in 2017, France and tagged history, travel, UNESCO, world heritage site on 25 June, 2017 by Tom Livesey.